JBC´s stands feature a line-up covering Advanced Series tools range. 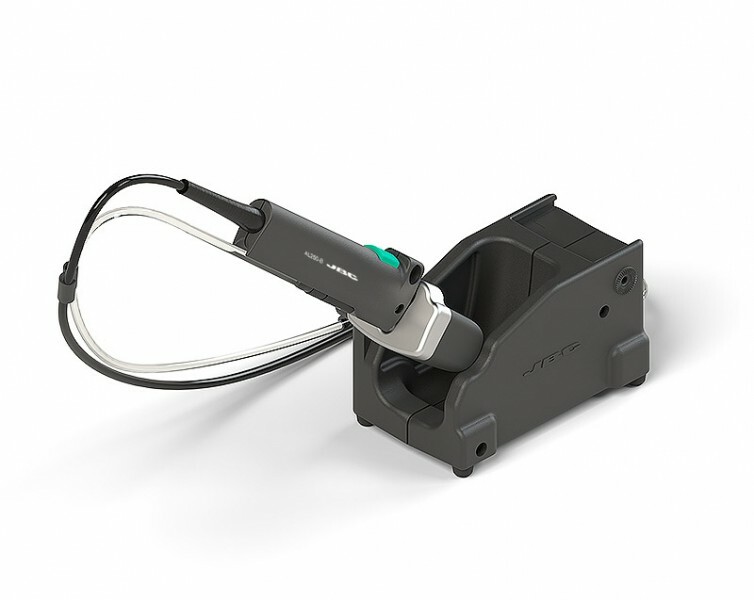 The sleep mode automatically reduces the tip temperature when the tool is in the stand. As a result, a tip`s life lasts up to 5 times longer. The tool holder is easily adjustable to suit your work position. This stand works with the AL250 Auto-Feed Iron.